The fantastic 6th hole at St. Enodoc. One question we golfers never tire of asking each other is which course we would choose if we could play only one for the rest of our lives. Though my favored track does appear in various top 100 lists, it’s never anywhere near the top of them. Surprising people with my choice is strangely comforting in a way I can’t explain. Fact is, I could tee up at St. Enodoc in Cornwall, England twice a day until my dying breath and never, ever grow weary of the place. Scotsman James Braid, a five-time Open champion, laid out the course which opened in 1890. A couple of years ago, a British golf publication listed it as the 16th best course in the UK - a rating I’d probably agree with since it isn’t anything like as good as Royal Birkdale, Sunningdale Old, or Woodhall Spa, which tend to swap positions in the top three every year like Augusta National, Pine Valley and Cypress Point do in the U.S.
St. Enodoc is the only course in my world where the absurd, but sadly over-used, sentence ‘The amazing views will take your mind off your game, no matter how badly you’re playing’ is actually valid. I’m sure it doesn’t, but the sun always seems to shine on the crumpled links of the Church Course named for the quaint stone chapel-of-ease to the right of the 10th green which dates to the 12th century, was renovated in 1864, and which spent many of its early days buried under sand swept in off the beach at Daymer Bay (the vicar would be lowered through a hole in the roof). Happily, St Enodoc is part of the Atlantic Links collection - six West Country links so authentic and consistently enjoyable, each rates as high with some golfer somewhere as St. Enodoc does with me. 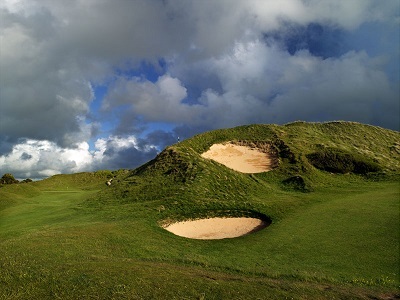 Saunton has two wonderful tracks, one of which – the Herbert Fowler-designed East Course – would surely host Open Championships were it not for the fact the nearest urban area with a population over half a million (Bristol) is a tricky two-hour drive away. Burnham & Berrow, Trevose and Royal North Devon - the oldest course in England, make up the sextet which will never get the coverage Scotland, Ireland, or Lancashire’s links will but which will most certainly provide all the entertainment you could possibly hope for. Play them all with a six-night package (including accommodation and golf) for £760 - about $1,150.